Contrary to popular belief, new technologies seldom replace older ones. The radio wasn’t replaced by cinema. Cinema wasn't replaced by the TV. The TV wasn't replaced by YouTube. All of these technologies still exist, and have even picked up a few new tricks and capabilities on the way. The same goes for old school (pun intended) classroom based learning. eLearning isn’t meant to replace it, but to cover those cases where traditional schooling wasn't convenient, cost effective, or even plain possible. It's also meant to work alongside traditional learning and augment its capabilities. This latter scenario is what's usually called “blended learning” or “instructor led training” (ILT), and it's something that modern LMS platforms increasingly offer support for. In this article we'll have a look at how TalentLMS, the popular cloud based eLearning solution, facilitates blended learning. As you've probably already guessed, the “blended learning” moniker comes from the fact that we mix (or “blend”) traditional classroom based training and online learning. 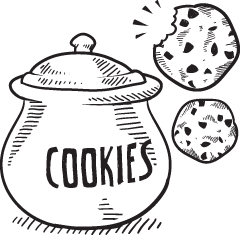 There are, of course, several ways we can go about this, which gives us quite a lot of flexibility on whether we prioritize the physical or the online element and in what ways. It all depends on our needs and constrains. At the most basic level we either incorporate eLearning into a traditional classroom based setting, or we incorporate real time lectures and labs (which can also be done through teleconference) in an eLearning setting. 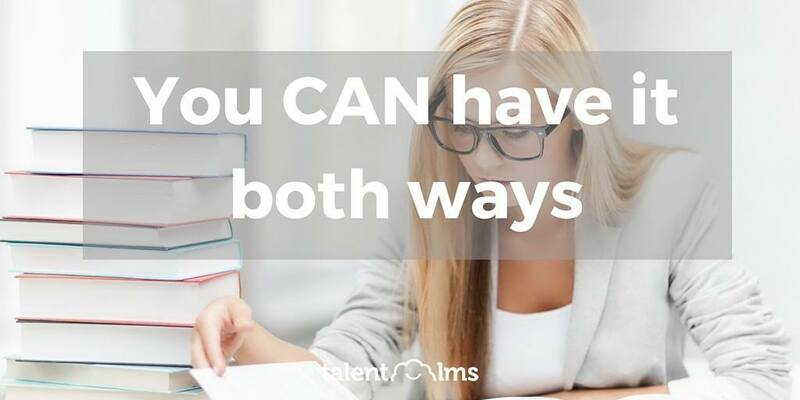 TalentLMS can handle both cases with aplomb, as it offers strong support for several typical blended learning scenarios. The way TalentLMS models blended learning is through instructor-led training “Units” (think of them as lessons), that may contain one or more “Sessions”. The latter are lectures that take place in real-time, either in the physical world (classroom based) or online (webinar based). An instructor can create a new ILT unit from the Courses page, by selecting “Instructor Led Training” from the dropdown and clicking on the “Add” button. After giving the new Unit a name, they can proceed to add Sessions to it. A session is defined by its start date, type (“classroom” or “webinar”) and duration, and in the case of classroom based sessions, its location and capacity (the maximum number of students it can accommodate). 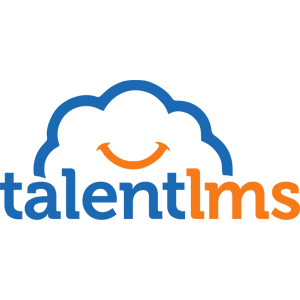 Students are shown information about upcoming ILT sessions on their TalentLMS homepage, and have the option to register to any session that interests them (as long it hasn't reached its total capacity). When the time for a webinar style session arrives, logged on students can attend it by clicking the “Join webinar” link on their TalentLMS homepage. A blended learning unit is considered completed when the instructor changes the learner’s status from “pending” to “passed” or “not passed” and (optionally) defines a grade. And that's basically it. By keeping it simple and intuitive TalentLMS makes blended learning a breeze to use alongside regular online learning material and lets instructors add, edit, manage and monitor instructor-led sessions the same way as they would conventional eLearning classes. In this post we explained the concept of blended learning and had a look at how TalentLMS helps instructors implement it as part of their eLearning offering. The approach TalentLMS takes to blended learning is to make it as transparent as possible to the instructor, allowing them to treat ILT sessions like their already familiar online courses and lessons. Thanks to this design, ILT based sessions are able to access all the same TalentLMS features eLearning sessions can, from its organizational and monetization options, to its powerful reporting engine. If you have a need to combine online lessons with classroom or webinar based real-time sessions, in one integrated, easy to use package, TalentLMS might just be the ticket for you. Watch more about TalentLMS’ intuitive ILT options in this short video.